Picture Day is Here ...Check out your time to say "Cheese"! The Clinic Program provides playing opportunities for over 500 children annually in three leagues based on age/grade level – Kindergarten and two Pre-K levels. Just prior to the season’s start, registered Pre-K league players are divided into Pre-K Junior and Pre-K Senior divisions based primarily on age. 2018 Clinic players must have a minimum birthdate of 8/31/15 to register. Clinic plays in the fall only, from late August through the first weekend of November. Practices and games are held at the Cypress Creek fields, with practices on Wednesdays (starting in early evening with each age group getting forty-five minutes) and games on Saturdays (starting in the morning and continuing until all teams in all age groups have played. Games last about one hour). Actual game times depend on the age group, individual coach, total number of teams and availability of fields. The registration fee covers the field maintenance, coach's equipment, coach training (the Parent-Coach license), player jerseys, and each child receives a participation trophy. All other expenses, whether required (soccer shoes, shin guards, and practice ball) or optional (thank you gifts for coaches and team parents) are the responsibility of the family. 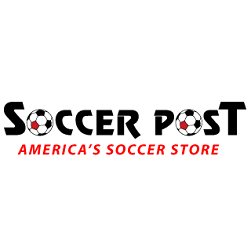 Our focus is to coordinate this program with the goals and guidelines set out by the USYSA (United States Youth Soccer Association), NSCAA (National Soccer Coaches Association of America), and USSF (United States Soccer Federation). We extend this focus to the coaches and parents as well. The best outcomes are assured when every participant knows the goals and guidelines and agrees to work collectively. Why Have the Development Program? US Soccer players today are often under-developed with regard to individual technical ability when compared with children from soccer-strong countries. US players, both boys and girls, are not as capable or comfortable with the ball as other players throughout the world. One reason we see this in America is that players at a young age are put into environments that don't promote the important elements of technical understanding, autonomy and comfort with the ball - typically, there's a lot of standing around or a single-line-of-players-with-just-one-ball. As a result, kids don't advance as rapidly and become disinterested in the sport. Players that continue subsequently do not get the amount or quality of touches on the ball necessary for proper advancement. They are successful at young ages often because of natural athletic ability, but become frustrated when they play in more competitive leagues and find out their technical ability is below average. Decreasing the size of the field and the number of players per team to a 3v3 game played on 25 x 20 yd field. This increases the amount of touches a player gets on the ball per game. The 3v3 environment encourages players to become more creative and confident with the ball. Encountering a player 1v1 becomes more important and getting lost in the 20-player/1-ball swarm is avoided. Using a prescribed set of technical skills. We define a progression of techniques which can be combined in "move sets" and then introduced into game settings. Learning proper technique, repetition and opportunity to use the skills in competitive settings are essential to success. Emphasizing training sessions rather than games. The bulk of each practice session is devoted to instruction including games and activities that reinforce the individual skills taught during that session. Every player has a ball at all times. The players and parents then have the tools to take home and have fun as a family, including encouraging unstructured play. Teams are ideally composed of 10-13 players, though special circumstances may require this number to be adjusted. We attempt to strike a balance between placing children from the same schools or communities together with expanding their circle of friends, while at the same time making sure the teams are balanced athletically. We also consider the emotional readiness and physical attributes of individuals and will consider assigning players to teams not in their given age group. We make every attempt to accommodate special requests, but the nature of the request and when the request is made have a great bearing on our ability to honor it. Special requests should be noted during registration in the Special Request section of the form. The GSPAA Clinic Soccer Program is a great value – our players learn and have fun, and it's a great way for the entire family to be do things together and be part of the community. On behalf of everyone involved in the program, we hope to see you in this fall and ask that you consider volunteering in some capacity.